I am an Australian born and raised writer and serial traveller, lucky to live in Byron Bay, first place to see the sun rise and the most easterly point of our continent. 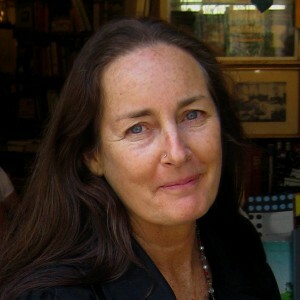 My writing includes poetry, part-time book reviewing, travel articles, fiction and non-fiction. An encounter in Iran inspired a prize winning poem at the 2007 Byron Bay Writers’ Festival. In the following year I was guest poet at Southern Cross University’s International Human Rights and Peace Conference. My first travel memoir, The Way is a River of Stars, was awarded a Varuna LongLines residency in 2007 then shortlisted for the Varuna Harper Collins award in 2009. Since its publication I have been spending time in South India working on a second book – this time fiction. In so many ways it brings me full circle back to a love affair with India, four decades after studying Hindi and Asian Studies at Australian National University. Writing is a way to mine the depths, the experiences that have formed the person I am today and the world in which I live. What do I really want to say and to share? It’s a dynamic process; one that is constantly changing. Often it will be a question that begins the writing process. And more often than not that question comes when I am walking in nature whether it be across a country as in my pilgrimage across Spain, on a pilgrimage up into the mountains of India’s Western Ghats or at home on the bush track up to the lighthouse. I craft as I go. If it’s non-fiction then I have a rough plan in my head from beginning to end. If it’s non-fiction I like to be caught up in the mystery of what is developing for my characters. This keeps the writing alive for me and then hopefully the same will happen for the reader. Reading aloud from time to time is a really important way to recognize the good the bad and the ugly as far as sentence structure, flow and rhythm go. Before I a began writing prose I wrote poetry. It was a good foundation I think for the economy of words and finding the beauty inside language. I listen to them. And when they speak and I forget I’m there at the desk, forget the time of day or night – that’s when a kind of magic happens. Be authentic. Speak the truth – this applies in fiction and non-fiction. Read read read – all sorts of books so your mind stretches beyond just the ones you like the idea of. Even badly written books can teach you. Join or form a writing group. Find a reader, or two, who is on your side but who is also not afraid to be . I self-published after coming SO close too many times to clinching that deal with a publisher. It’s getting harder and harder. The beauty of self-publishing is that its becoming easier! AND empowering for writers. The book – you know that bound thing you can hold with paper pages – will never die. E-Books are here to stay too. Easy or odd bed companions? That’s to be seen.